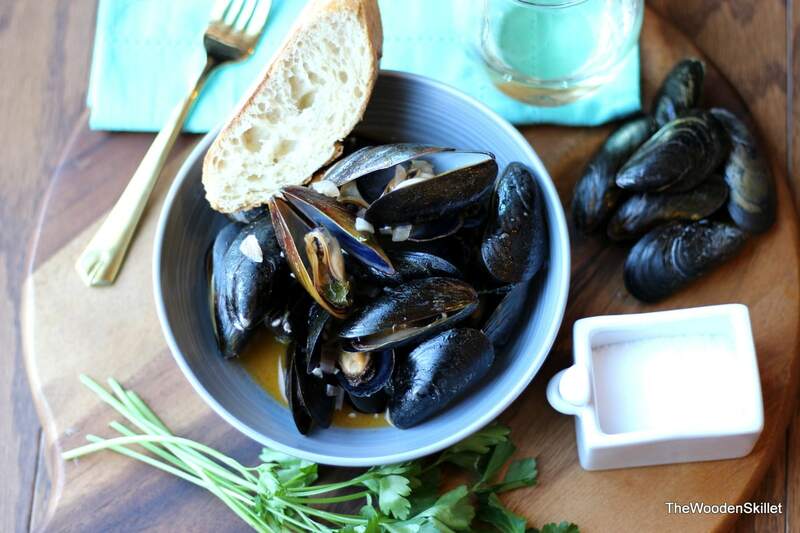 Mmmmmm….. mussels in a buttery, white wine sauce that you can soak up with warm, crusty French bread. Try and tell me you don’t want to eat this all up. I know some people aren’t “mussel people” – frankly I don’t associate with those people – kidding! (kind of), but even those people would like this – I swear. 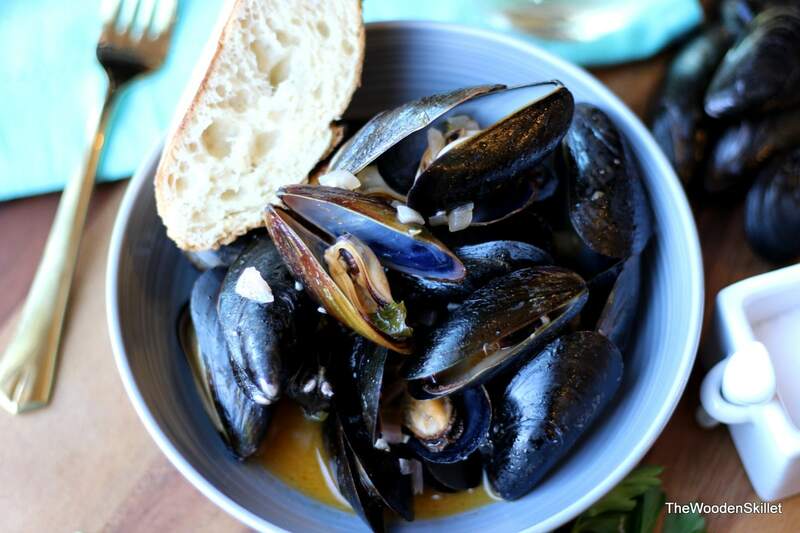 I don’t know what is the best part, the buttery mussels or the bread soaked in the amazing, amazing sauce. Did I essentially drink some of the sauce with a large spoon – maybe. Don’t judge. This is a great appetizer to have in your back-pocket, to really wow some dinner guests with. It is clean, classic and sophisticated, yet surprisingly quick as far as from the time cooking begins to plating. 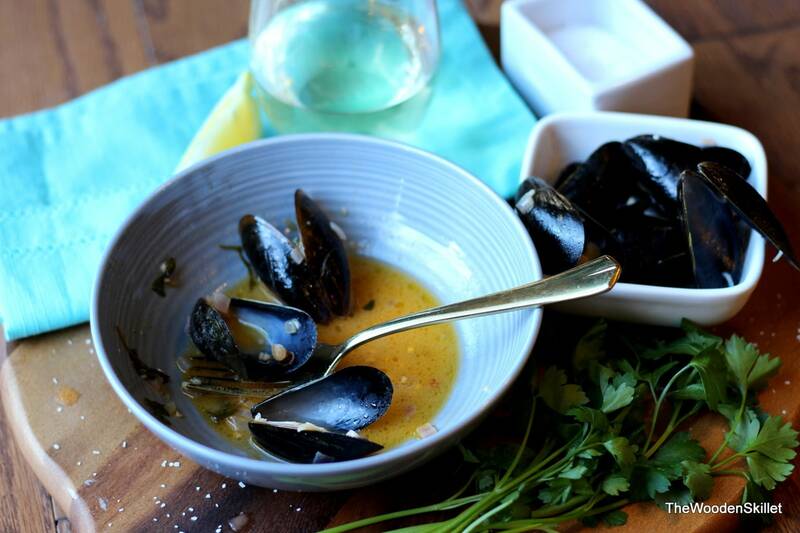 There is a bit of prep-work that goes into the mussels – click here for my 4 easy tips on preparing mussels. But once you have done your prep-work, the cooking goes incredibly fast. 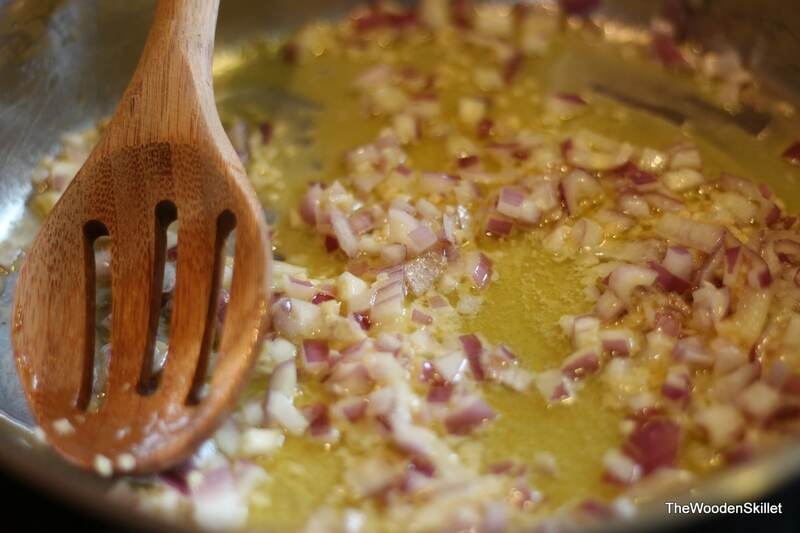 Add them to your butter along with some garlic and olive oil – let the shallots cook down. Add white wine and lemon juice. 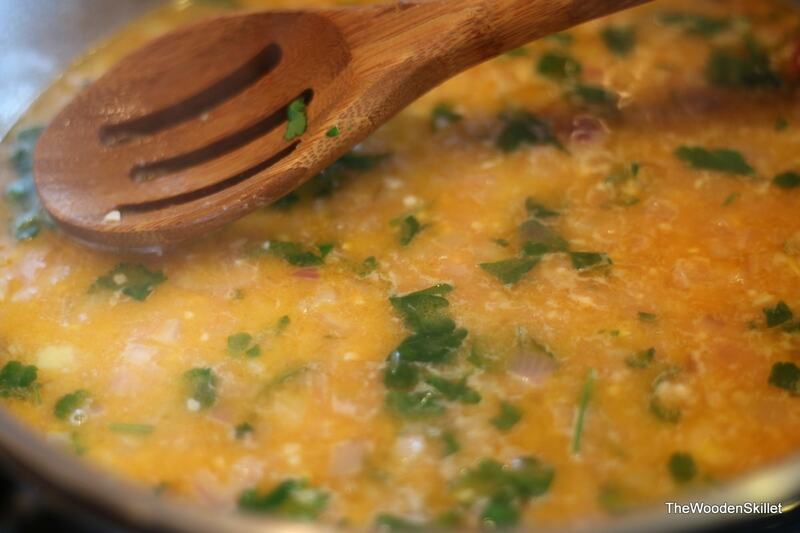 Finally, add chopped parsley and – the secret ingredient – smoked paprika. Let simmer for a bit and then add the mussels. 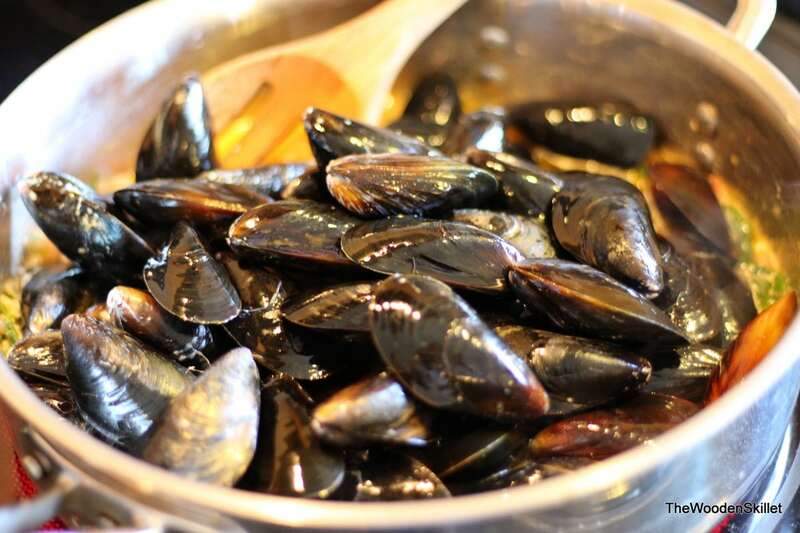 Cover immediately and let simmer for about 2 minutes or until mussels begin to open. Serve with warm, crusty French bread, lemon and garnish with fresh parsley. If you have always wanted to try to make this appetizer – now is the time! Let me know how it goes! 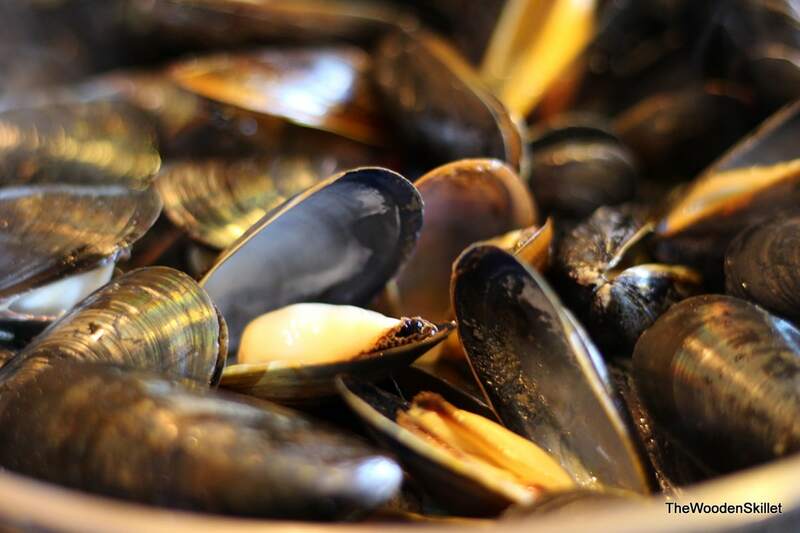 Ensure mussels are properly prepared and have soaked in water for 30 min. 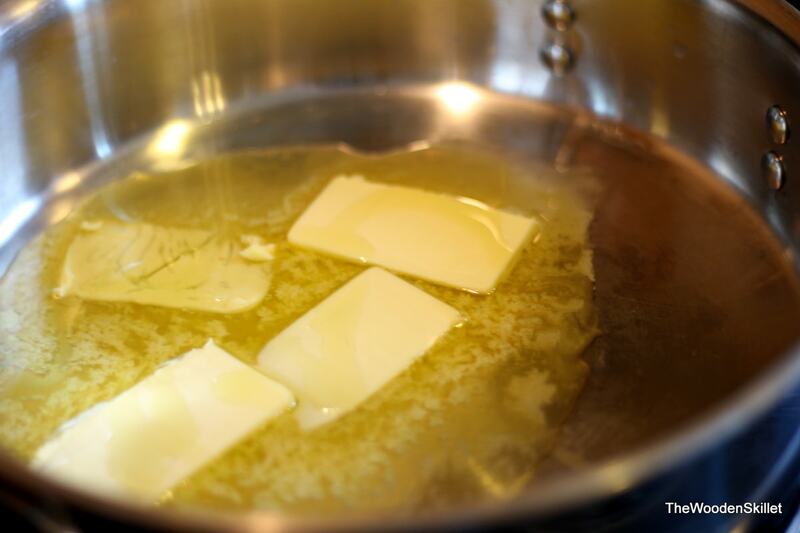 In a deep saute pan, add butter and let melt. 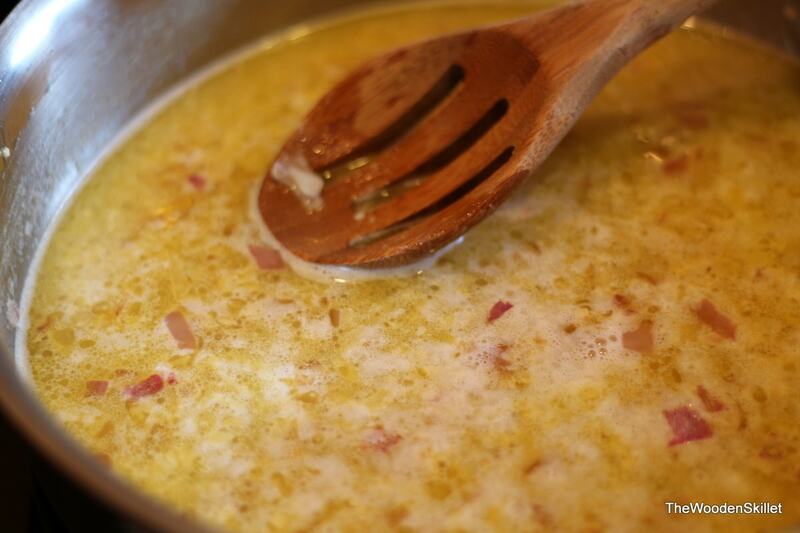 Add shallots, garlic and olive oil. 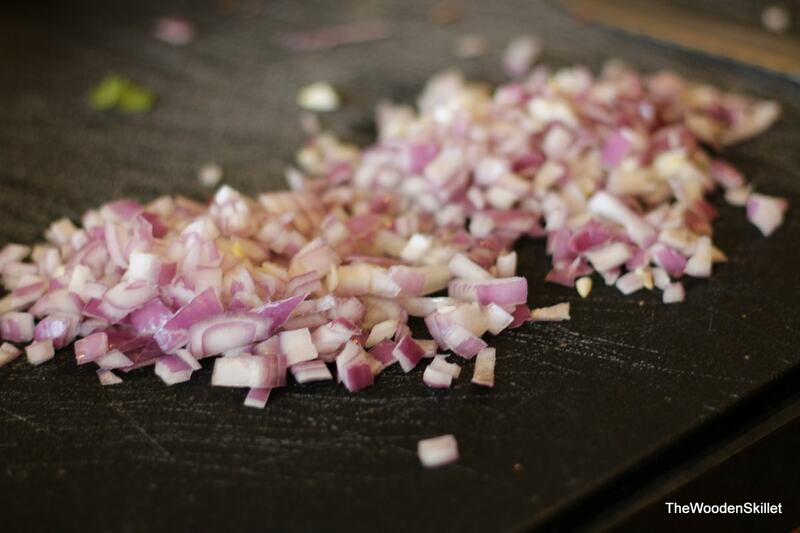 Let shallots sweat and soften – about 3 minutes while continuously stirring. Add smoked paprika and fresh parsley. Stir and let simmer another 2 minutes. 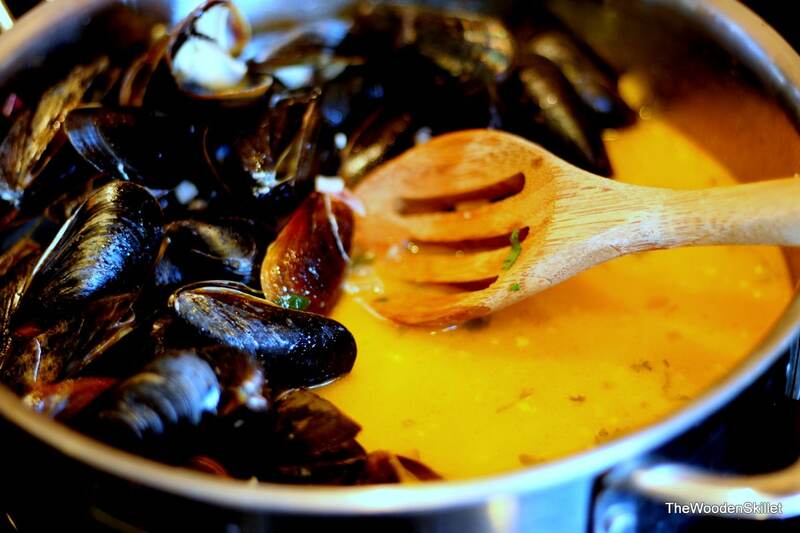 Add mussels and cover immediately – let simmer for 2 minutes or until mussels open. 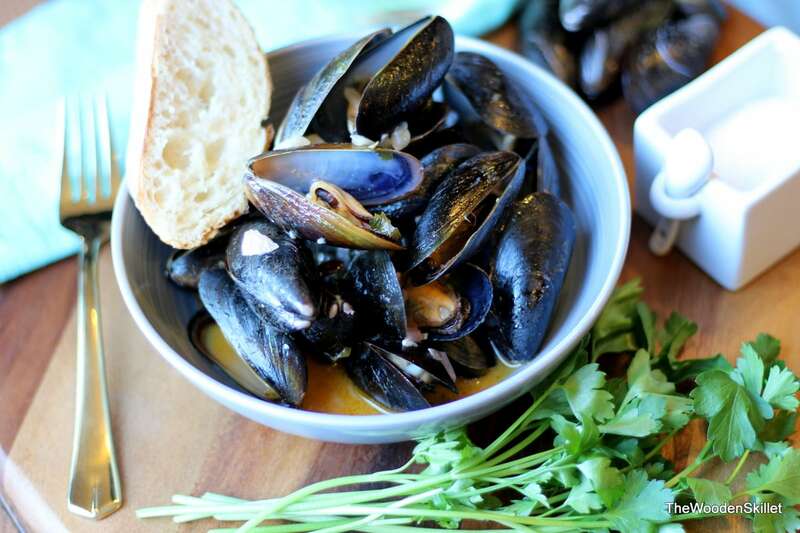 Spoon mussels into shallow bowl, pour sauce over the top and serve with fresh, warm, crusty French bread and lemon wedge.